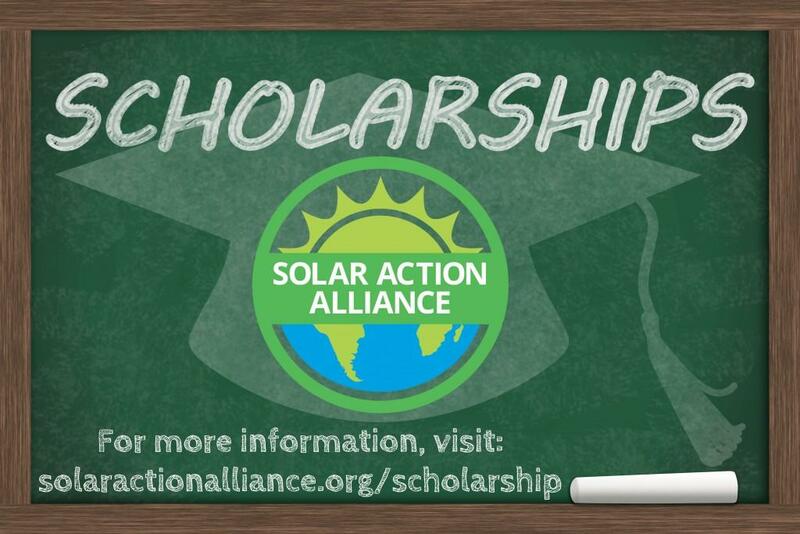 Solar Action Alliance is excited to offer one $1000 scholarship to a hardworking, motivated student. Submissions must be emailed to info@solaractionalliance.org. Please include “Entry for Solar Action Alliance Scholarship” in the subject. Include your name and contact information in your email submission. 3. Our annual scholarship deadline is July 1st. Winner will be notified by August 1st. Due to our scholarship being annual, the years will change, but the days will stay the same for the deadline. 1. Please proof read your essay. Failing to do a simple review may end up costing you the scholarship. 2. Do not plagiarize. Our scholarship committee knows the difference between a stolen essay, and a well-researched essay. 3. Have fun! Let your passion for solar shine through in your essay submission. 1. Our scholarship is annual. So if you don’t win this year, you can always apply next year! 2. Only one essay entry per applicant. 3. All students earning any type of degree, graduate or undergraduate are eligible to apply.